Print this Speed Stick coupon and get B1G1 Speed Stick Deodorant, Antiperspirant or Body Spray at CVS this coming week. 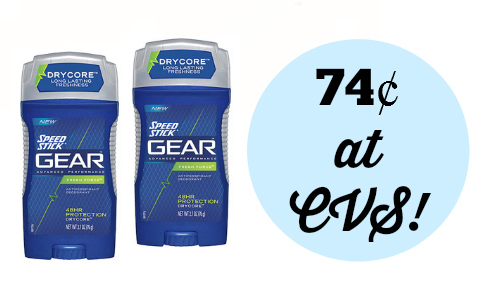 This is a great deal on deodorant! –like getting both for $1.49 or 74¢ each!